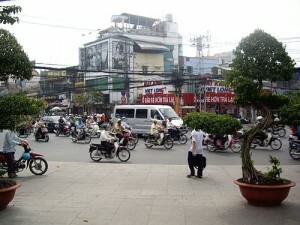 On June 11th, 1963 a Buddhist protest march was making its way down one of Saigon’s busiest arteries, Phan-Dinh-Phung St. 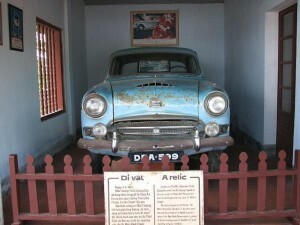 The procession of around 400 Buddhist monks and Nuns moved through the city until they hit Le-Van-Duyet St where a light blue Austin that was part of the procession, the car is seen in the background of the picture, stopped. 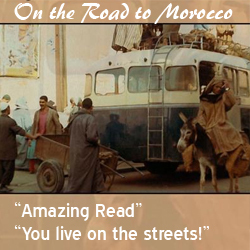 The hood was raised as if the car had engine trouble while the nuns and monks in the parade quickly surrounded the car forming a circle of some seven monks deep. Thich Quang Duc a 66-year-old monk calmly got out of the car and walked to the center of the circle sitting on a cushion provided for him. 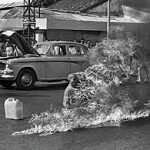 His religious brothers removed a jerry can of fuel from the car and proceeded to pour it over Quang-Duc who was now meditating in the lotus position. Quang-Duc with his Buddhist prayer beads in his right hand, then opened a box of matches, lit one and was instantly engulfed in flames. He did not move while his body was incinerated, while Malcome Browne the only western reporter present snapped the picture of the monk on fire. Malcome Browne’s image, that would later get him the Pulitzer prize that year, was on news covers around the world including the desk of American President, JFK. 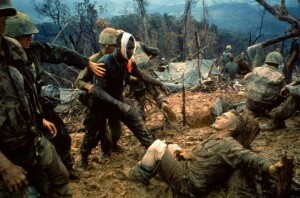 When Kennedy saw the image he was heard to remark, “Jesus Christ … This sort of thing has got to stop.” Marking the beginning of the end of American support for the Ngo Dinh Diem regime. For many, the story was their first introduction to religion not then common outside of Asia, Buddhism. Time, in its article “Faith that Lights” article attempted to introduce a faith that would inspire it’s followers to light themselves on fire. When describing the Eightfold Path Time told it’s readers that Buddhism was “full of pitfalls,” and that “in many Western ways, Buddhism is socially useless. It has only a limited tradition of good works,”. Thich Quang Duc, real name Lam Van Tuc, was born in rural Vietnam in 1897. At the age of seven, he entered the religious life becoming a disciple of the Zen master Hoang Tham. At twenty he officially became a monk spending the next decade and a half in the remote Ninh Hoa Mountains. In 1932 he came out of isolation and started teaching Buddhism and also spending time rebuilding Buddhist pagodas. By 1942 he had rebuilt 20 pagodas and the same year moved to Saigon where he settled into the Quan The Am temple eventually becoming the Head of rituals Committee of the United Vietnamese Buddhist Congregation. During Vietnam’s time as a French colony, Catholicism spread throughout with the colonial government favoring Catholics for key positions in the government, army, and police. By 1963, South Vietnam was ruled by a dictatorial leader, Ngo Dinh Diem. Under Diem, most of South Vietnam’s power was held in the hands of Catholics. Diem’s regime oppressed the Buddhist majority, who made up some 80% of the country. Most high-ranking government figures were Catholic, and Buddhists were being discriminated against in Universities and government jobs. 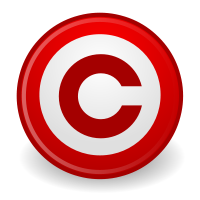 Government policy followed a strict Catholic morality such as, “bans on dancing, contraceptives, divorce, and polygamy, [that ran] counter to customs and beliefs of the majority.“ Buddhists were not allowed to teach or practice their own religion, and protesting monks and nuns were being beaten, detained and tortured by Diem’s secret police. Even in the fight against the communists, it was only the Catholics who were given weapons with which to fight the Viet Cong. It was this intense religious persecution that Thich Quang Duc was protesting against, not the ongoing guerrilla war with the Vietcong. The ancient city of Hue is arguably the heartland of Buddhism in Vietnam. Hue is also the birthplace of Diem, South Vietnam’s leader. Ruled by Diem’s two brothers — one as a major/warlord, the other ruled as the Catholic archbishop. In May 1963 Diem celebrated the anniversary of his brother’s promotion to the archbishop in a ceremony where the gold and white Catholic flag flew next to Vietnam’s national flag. The two raised flags were a direct violation of South Vietnam Law prohibiting any flag but the national flag to be flown. Only days later, Hue’s Buddhist community attempted to fly its own five-colored flag to celebrate the 2,587th anniversary of Buddha’s birthday. The government said no and when people took to the streets in protest, 9 people were killed by government forces firing into the crowd. Diem tried to blame the deaths on the communists but the damage was done. People spilled onto the streets demanding change. The Buddhist monks disregarded as meditating, out of touch, holy men proved surprisingly knowledgeable on how to use the modern media, calling reporters, using English signs, in an effort to get their plight to the outside world. The monks strived to push a common message making the following request of the Diem regime: “Lift its ban on flying the traditional Buddhist flag; Grant Buddhism the same rights as Catholicism; Stop detaining Buddhists; Give Buddhist monks and nuns the right to practice and spread their religion; and Pay fair compensations to the victim’s families and punish those responsible for their deaths.” Reporters who had been slugging it out in the rice paddies covering the fight against the Vietcong quickly moved back into the cities to cover this urban civil unrest. Foreign journalists soon had their phones ringing off the hook as they received tip after tip telling them about the next demonstration. It was clearly theater staged by the Buddhists to achieve a certain political end. At the same time, there was a human element to it that was just horrifying, because the sequence of pictures showed the initial shock of the flames touching his face, and so forth. He never cried out or screamed, but you could see from his expression that he was exposed to intense agony and that he was dying on the spot … I’ve been asked a couple times whether I could have prevented the suicide. I could not. There was a phalanx of perhaps two hundred monks and nuns who were ready to block me if I tried to move. A couple of them chucked themselves under the wheels of a fire truck that arrived. But in the years since, I’ve had this searing feeling of perhaps having in some way contributed to the death of a kind old man who probably would not have done what he did — nor would the monks, in general, have done what they did — if they had not been assured of the presence of a newsman who could convey the images and experience to the outer world. Because that was the whole point — to produce theater of the horrible so striking that the reasons for the demonstrations would become apparent to everyone. 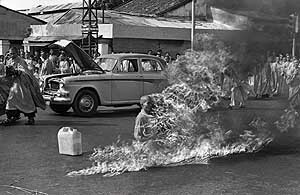 Browne would later recount that the monks at the protest had trouble getting Thich Quang Duc horribly burnt corpse into a casket, “because he was splayed out in all directions.” After the protest, Duc’s body was burned again when his fellow monks cremated him. The monks claim that his body was reduced to ashes except for his heart which while singed was still intact. The organ was declared Holy and is still kept as a holy artifact by the monks. 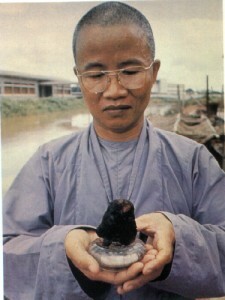 Before Duc died he composed a letter to explain his actions and asked people to unite and work towards the preservation of Buddhism in Vietnam and around the world. This became known as the Letter of Heart Blood. Diem’s regime handled the burning badly. He quickly tried to pass off the whole protest as a Buddhist plot with monks working somehow with the communists. He tarred Browne with same brush claiming that the enemy had bribed him. Things were made worse when the Madame Nhu a famous outspoken relative of Diem was quoted as saying, “I would clap hands at seeing another monk barbeque show…” After this quote Madame Nhu became known and feared as the “Dragon Lady”. The regime was so outraged over the whole incident, and in a later protest, the secret police cornered and beat Browne and some reporter colleagues, including Peter Arnett. Browne, the actual target was able to half climb a pole while Arnett took the brunt of the blows. He was eventually pulled down and his camera smashed but not before he snapped off a few pictures with the same Minolta camera that captured Duc’s burning body. 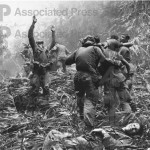 One of the pictures Browne salvaged from the camera was of famous Vietnam correspondent David Halberstam brawling with the police while trying to pull Arnett to safety. 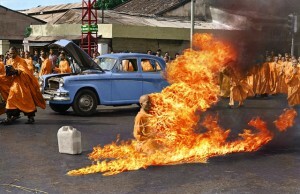 Thich Quang Duc’s suicide was the first of many other self-immolations around Vietnam. The Buddhist protest exposed the hypocrisy of the American policy in Vietnam. The question of how could the white house claim to be protecting freedom by supporting Diem when the government practiced such severe religious persecution was not answered. After a crackdown on the Buddhist protests began, America cut off aid and the White House became hostile after more and more monks and nuns doused themselves in fuel and lit themselves on fire. When American intelligence learned of a plot to assassinate Diem in a coup attempt, US officials contacted the conspirators and assured them that U.S. would not interfere. On Nov 2, 1963, Diem and his younger brother were killed. On April 17, 1931, Malcolm Wilde Browne was born in New York. 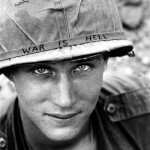 He left Swarthmore College in Pennsylvania with a degree in chemistry and was quickly drafted and almost served out his enlistment as a tank driver but instead worked for the military newspaper which jump-started his interest in journalism. Malcolm Browne spent forty years documenting world events thirty of which he worked for the New York Times. Much of that time was spent in war zones and he has been shot at, thrown out of over a dozen countries and for his work in South Vietnam even put on a death list. While in Vietnam he met his wife Le Lieu and the two have been together ever since. It was Le Lieu who notified the world that at 81, on August 27 2012, Browne lost his fight against Parkinson’s disease. He was survived by his wife, a son, Timothy; a daughter, Wendy, from a previous marriage; a brother, Timothy; and a sister, Miriam.